Poetry can take various forms but always expresses a message in a unique way, often with rhythm or rhyme. However, some of the most intensely expressive poetry is highly descriptive and uses language that creates images and feelings beyond that of other literary work. Descriptive poetry, unlike narrative poetry, is known not necessarily for telling a story but for its deep depiction of a person, animal or inanimate object. The feelings the poet has about this object are secondary to the description of the subject, so they don't get in the way of the visual imagery. Several poets are known for their rich vocabulary and the imagery they produce with that vocabulary in their written work. Thoreau's description of smoke is intense and creates a vivid picture in the reader's mind with metaphors that compare the smoke to an "Icarian bird" or "incense." 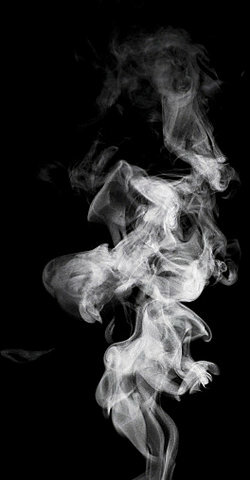 Other descriptions such a "star-veiling" and "shadowy" allow readers to compose images of their own of how the smoke must have appeared to Thoreau as he wrote this piece. In this poem, Dickinson describes a rainstorm during the summer with such greatness that readers can imagine the storm in their minds as it starts slowly in the first stanza, "kiss[ing] the eaves…" and gains momentum as the dust is "replaced in hoisted roads" and the sunshine throws "his hat away." The metaphors and vivid adjectives that Dickinson uses appeal to readers' senses and create a lasting picture. Another poet that must be considered when discussing descriptive poetry is William Wordsworth. One of the most influential poets of the Romantic movement, his expressive vocabulary creates stunning imagery for readers. Wordsworth's description of the woman's eyes as "stars of twilight" and her hair as "dusky" creates a purposefully angelic vision of this "phantom of delight." He brings her back down to earth in the sencond stanza ("a creature not too bright or good") but the last line reinforces the angelic vision, yes, she is an earthly creature but still has "something of angelic light." Descriptive poetry is literary work that displays the talent of those whose rich vocabularies, adept writing skills, and vivid imaginations come together to create masterpieces such as the ones of Wordsworth, Dickinson, Thoreau, and others. "Descriptive Poem Examples." YourDictionary, n.d. Web. 23 April 2019. <https://examples.yourdictionary.com/descriptive-poem-examples.html>.